Gaius Julius Verus Maximinus Augustus, also known as Maximinus Thrax, was Roman Emperor from 235 to 238. He rose to power when his legion - Legio IV 'Italica' - killed Emperor Alexander Severus and his mother in 235 and elected the stern general emperor. 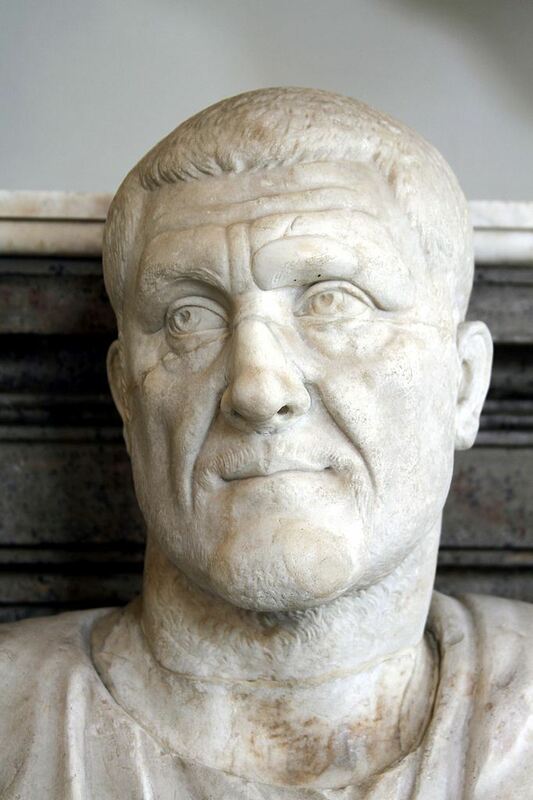 Maximinus was a provincial of low birth, and was seen by the Senate as a barbarian, not even a true Roman, despite Caracalla’s edict granting citizenship to all freeborn inhabitants of the Empire. Maximinus in turn hated the nobility and was ruthless towards those he suspected of plotting against him. He died at Aquileia whilst attempting to put down a Senatorial revolt.